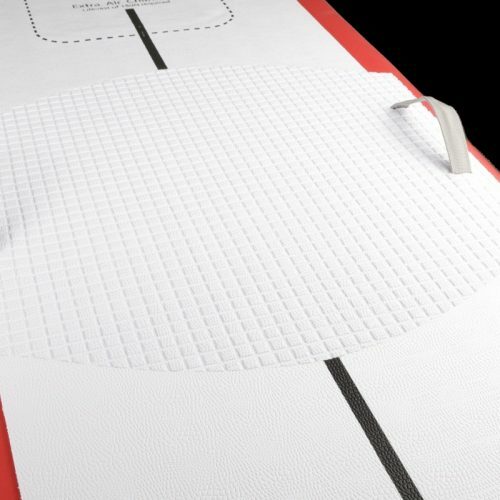 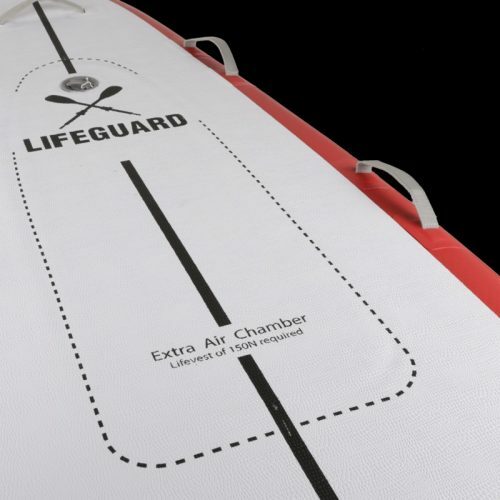 TUV certified dedicated rescue board featuring an extra chamber for buoyancy to float another person. 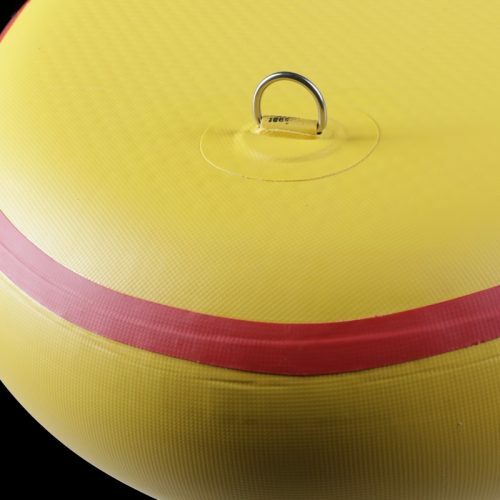 Even if one chamber punctures, the craft will not sink. 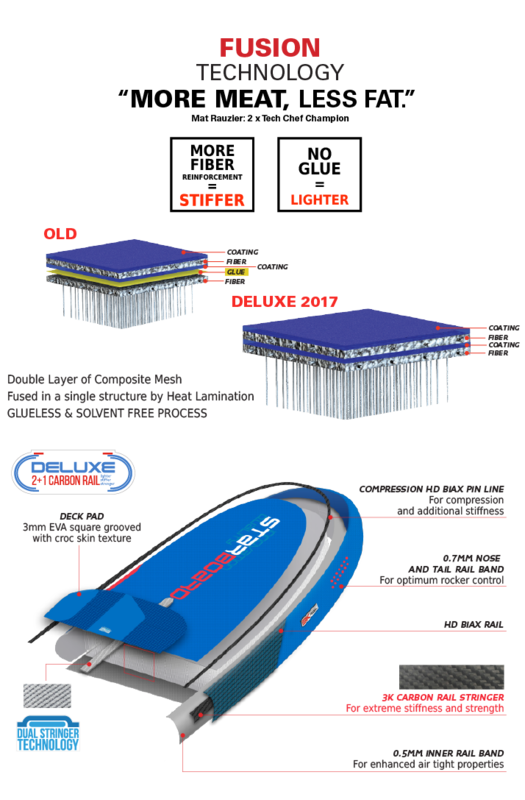 New I-Beam technology includes seamless joints between the inner chamber and outer chamber allowing us to extend the size of inner chamber for additional security. 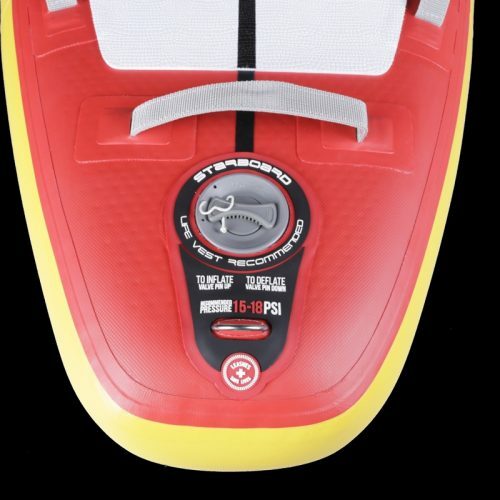 Inner seam retains no air making it much easier and quicker to roll up. 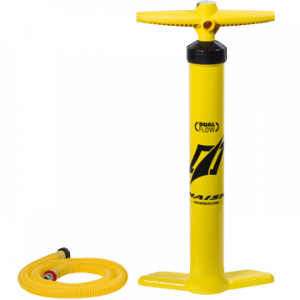 12 self-standing handles for easy usage for the distressed person to hold onto and lifeguards to carry. 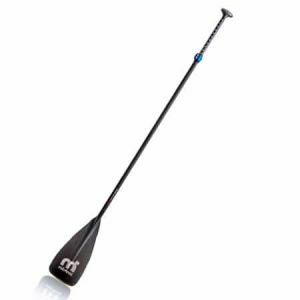 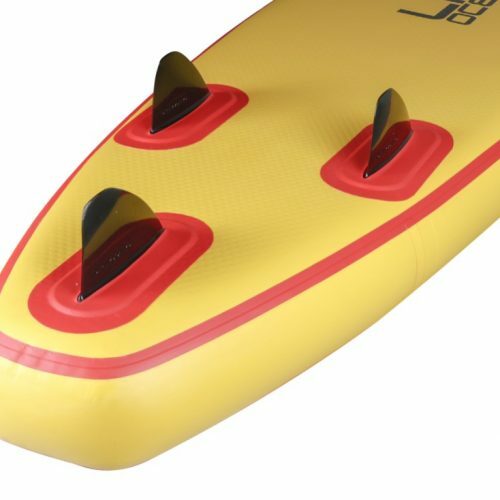 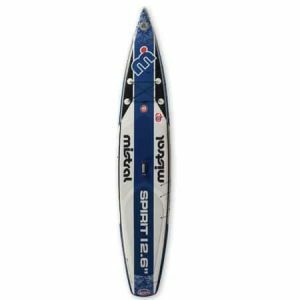 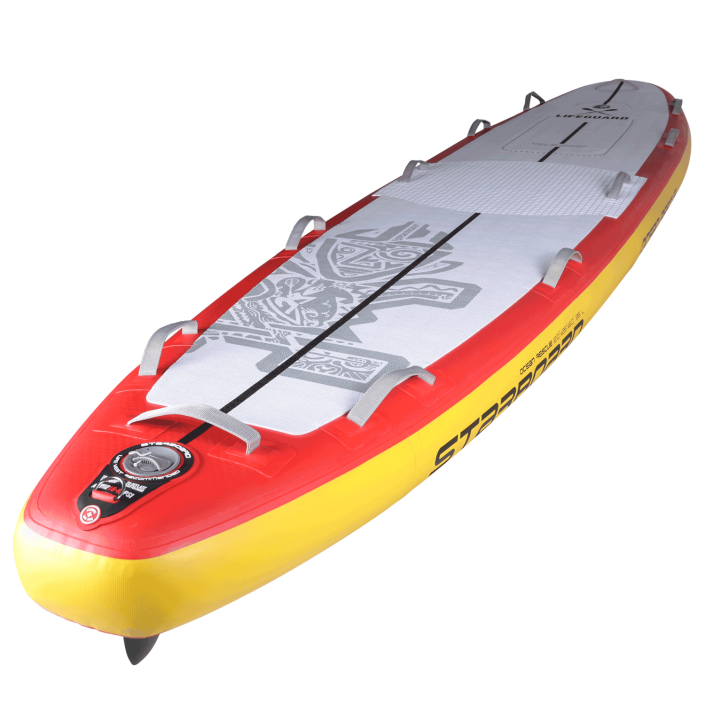 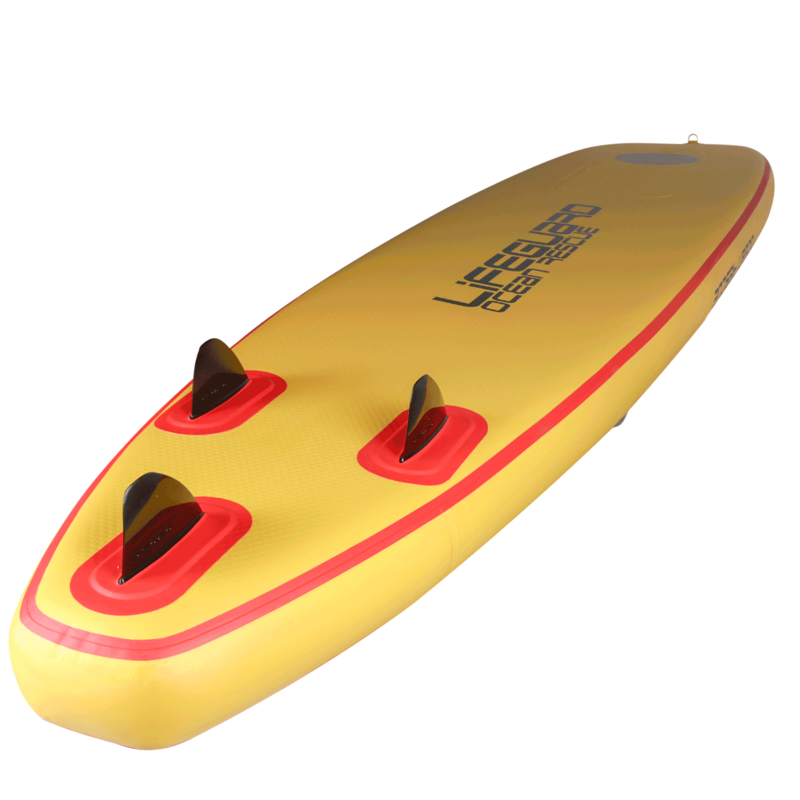 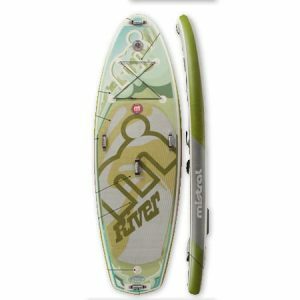 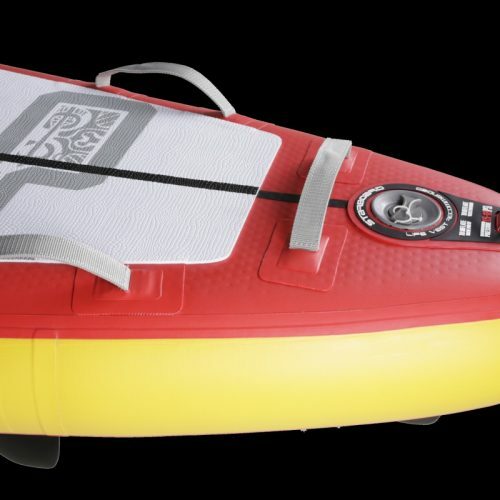 28” hull is narrow enough for prone paddling and knee paddling and offers great flat speed and catches waves well.